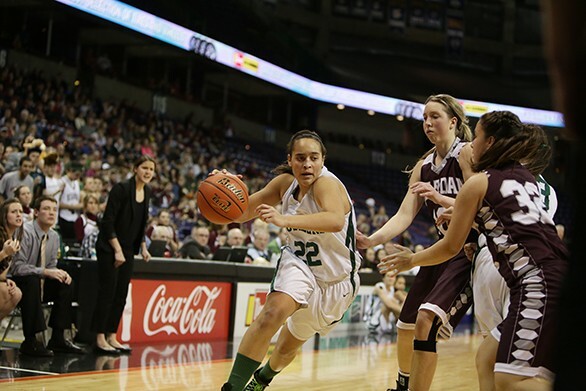 The high school basketball players and their families descended on Spokane with high hopes last week for the annual State B tournament. Some left with trophies, while others ended their seasons with tears. But before that there was lots of great basketball, and our photographer Young Kwak was there to capture the championship action. Northwest Christian's Katelyn McFaul handles the ball during the 2B Girls Basketball Championship game against Reardan on Saturday. 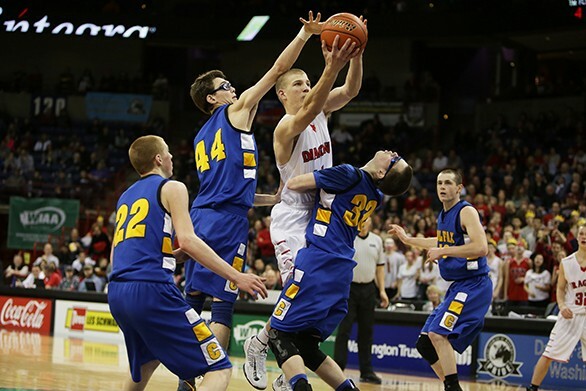 Northwest Christian's Treasure Farmer attempts to drive to the basket. 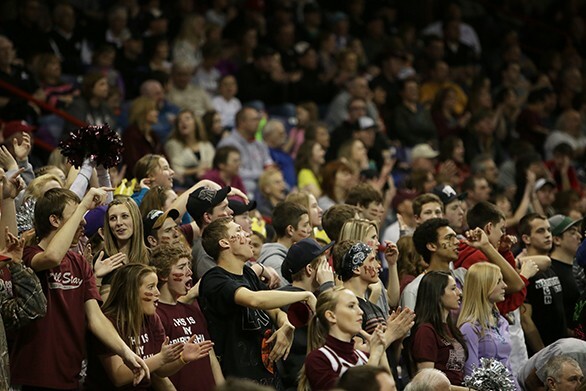 Reardan's fans cheer during the championship game. 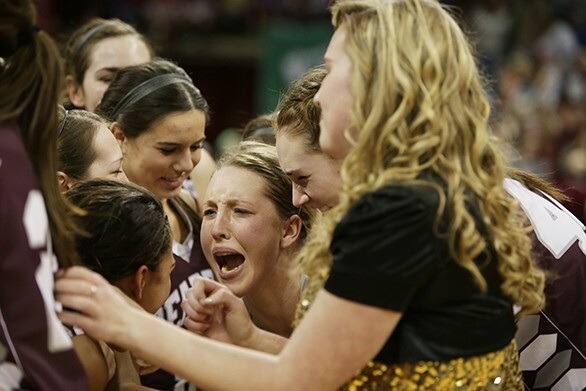 Reardan's team celebrates after winning 67-52. 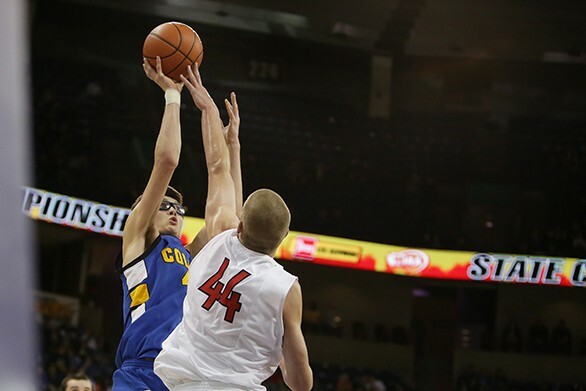 Colfax took on Saint George's during the 2B Boys Basketball Championship game on Saturday. 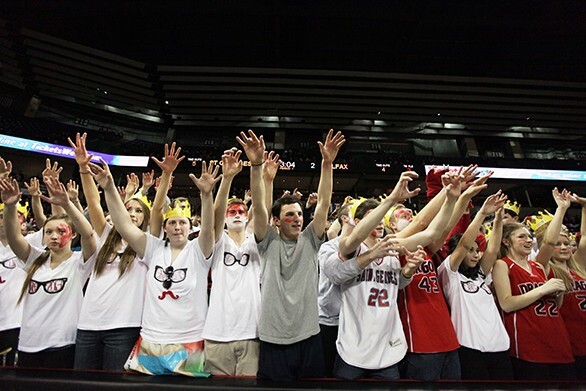 Saint George's fans cheer during the championship game. 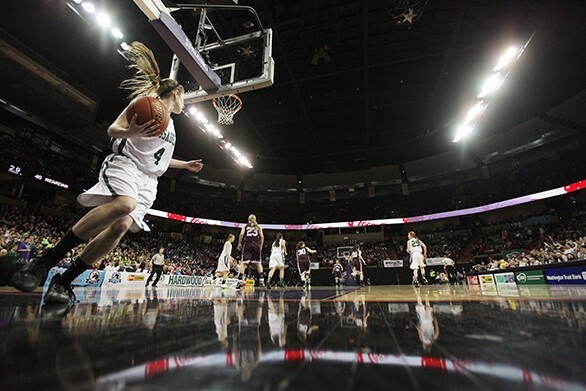 Colfax's Skylar Simonson, left, attempts a jump shot against Dexter Sienko of Saint George's during the championship. 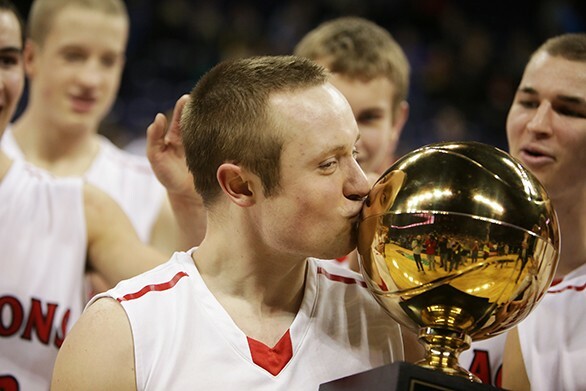 Saint George's celebrates with the championship trophy after winning the game 50-28.